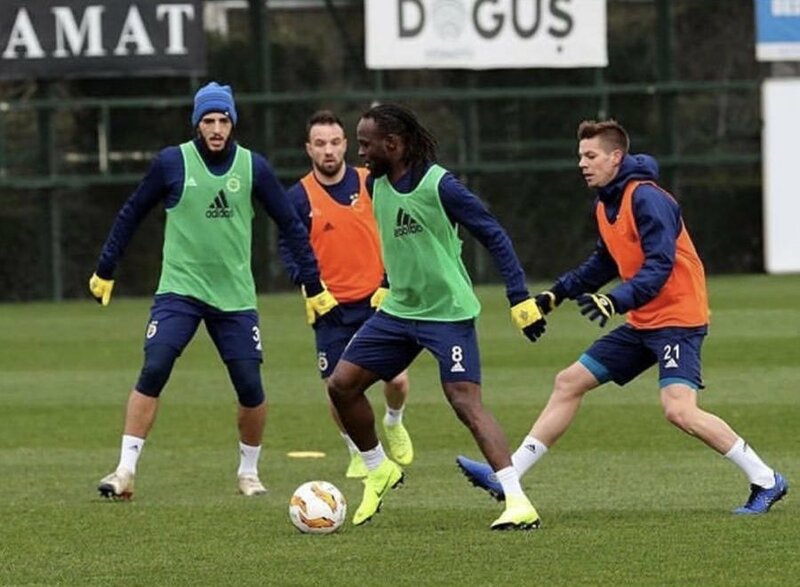 Former Super Eagles player and Fenerbache of Turkey new man, Victor Moses has described today’s UEFA Europa League tie as a very big match which they must do their best to win. Fenerbahce has a tricky fixture to negotiate as they are drawn against Russian giants Zenit for the round of 32 tie. This has been a disastrous season for Fenerbahce and their first target in Turkish League is to move as far as possible from the relegation zone. On his official twitter handle, the former West Ham, Wigan and Liverpool player posted on his handle @VictorMoses……Preparing for another big game tomorrow 🏿, with pictures of himself and teammates training for the crunch game. They have been inconsistent in Europe as well and managed to scrape through the group phase on the back of 2 wins and a draw bagged at home turf. Traditionally poor travelers and current form is a blow for Fenerbahce to survive in this double-legged tie, even if they win the first leg. Zenit St Petersburg are having a good season by all means and they are sitting at the top of their domestic league. In Europe, they do have serious problems playing on the road and they managed to get out of the group purely on the merit of three home wins. So, just like their Turkish opponent, Zenit are also a team strong at their own backyard, which makes this first leg tie a cat and mouse affair, Moses has called in his teammates to approach both legs with caution, starting from today’s first leg.